High blood pressure is a serious threat to your heart and arteries, but did you know it can also harm your lungs? Because blood flows throughout the entire body, and all your organs require adequate blood, having high blood pressure can have detrimental effects on other areas of the body and health. There is another type of hypertension that can arise in a person with high blood pressure known as pulmonary hypertension. Pulmonary hypertension occurs when the arteries to the lungs become blocked. When this blockage occurs, it causes the heart to work harder in order to pump blood through the blockage. This constant overworking causes the heart to become weak over time, which can ultimately be a fatal condition. 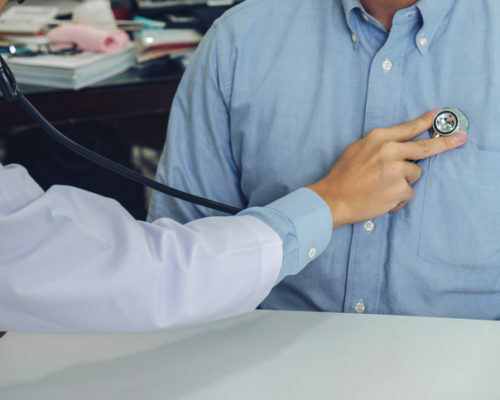 Unlike hypertension, which often goes symptomless, pulmonary hypertension will slowly reveal signs and symptoms such as shortness of breath, dizziness, and chest pain. You feel more fatigue and experience swelling of the ankles. Experiencing any of these symptoms, along with strange heart rhythms, you should seek medical attention immediately. Not treating pulmonary hypertension can have fatal consequences. Some causes of pulmonary hypertension include genetics, having a pre-existing heart condition, or poor diet and exercise. Because diet and physical activity can be controllable factors to reduce your risk of pulmonary hypertension, it’s essential that you work on staying regularly active along with eating well. One of the simplest diet changes you can make to reduce your blood pressure is to reduce your intake of salt. It’s also important that you monitor other areas of health to prevent hypertension, such as kidney health. This is because the kidneys are responsible for filtering blood, so if they are not functioning properly, blood cannot be properly filtered. Lastly, ensure you are partaking in at least 150 minutes of moderate activity or 75 minutes of vigorous activity a week.